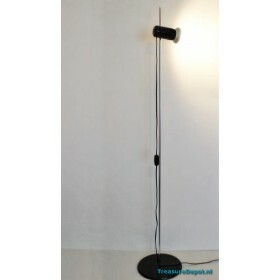 Vintage floorlamp, brown plastic. The height of the pole is 140cm. 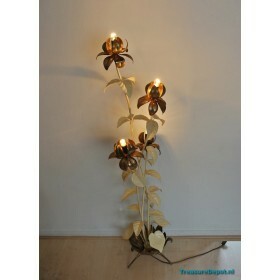 The lamp is in excellent condit..
Floorlamp made of metal flowers and leafs. Probably produced in the fifties in France or Italy. 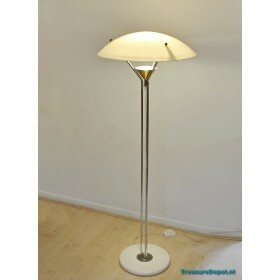 Th..
Sixties floorlamp, probably manufactured by Gepo. The sphere is made of thick plastic, colour off w.. 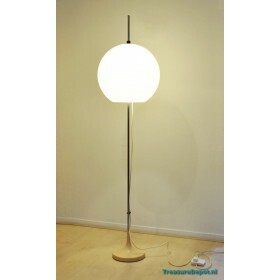 Stylish floorlamp by Queens Gallery Utrecht. 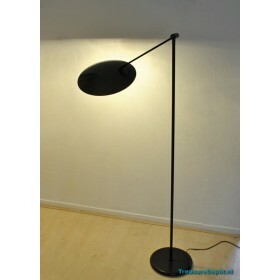 Black foot with antracite metallic UFO shade. The lam..